but the years, they do fly. and “I do”, we did say. what more could we ask. there was no greater task. and the ones filled with dread? with a steep uphill climb. and a few we did right. I hope He’s pleased with the sight. though we plan and we dream. when we work as a team. are more than a few. there are more up ahead. because that’s what we said! Promises don’t always mean a lot to many people in our world today, so some find it remarkable that any marriage lasts for very long — or the ones that do, must have somehow been easy and avoided all the difficulties that can make marriage hard. As I think this week about being married and muddling my way through so many difficult circumstances, this poem showed up in my mind as a reminder that we got through those circumstances together as we both honored our commitment to God and to what we said, “I do” — no “I might” or “I’ll think about it” or “I’ll try”, just a simple but profound “I Do!”. 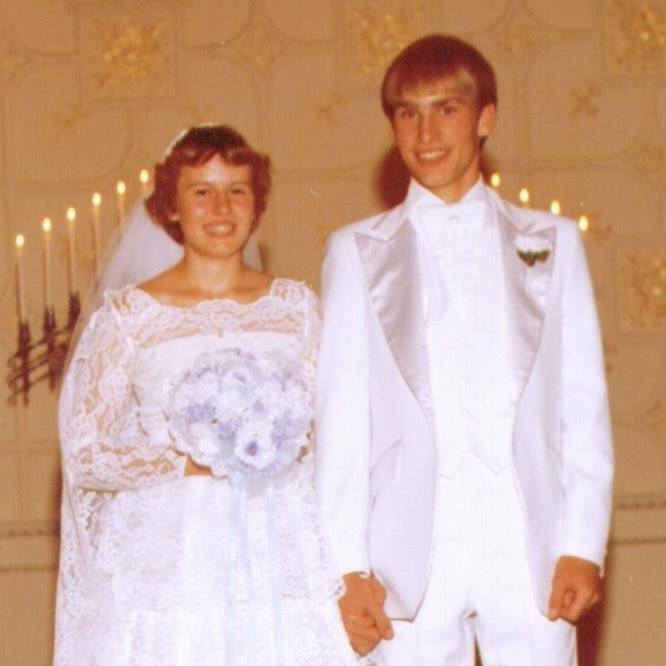 So, as the 36th anniversary of our wedding day approaches, Happy Anniversary to the love of my life! This entry was posted in Life Lessons, Listening, Poems and tagged Anniversary, Listening, marriage, poem, Prayer, walking with God. Bookmark the permalink. Thanks! I think our culture is so “instant gratification” and “relative truth” focused that it is difficult for many to even think that they should be held to words they said yesterday as today is a whole different set of circumstances.